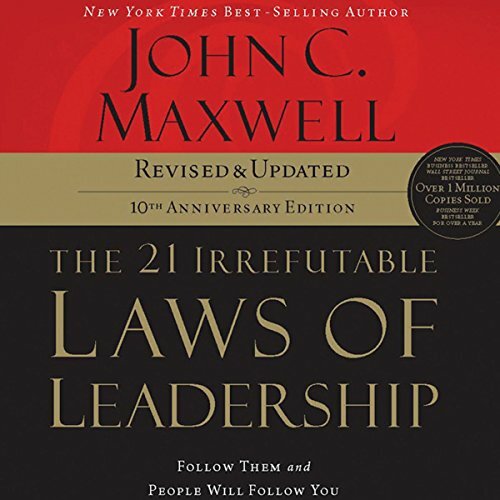 If you've never read The 21 Irrefutable Laws of Leadership, you've been missing out on one of the best-selling leadership books of all time. If you have read the original version, then you'll love this new expanded and updated one. Internationally recognized leadership expert, speaker, and author John C. Maxwell has taken this million-seller and made it even better: Every Law of Leadership has been sharpened and updated Seventeen new leadership stories are included Two new Laws of Leadership are introduced New evaluation tool will reveal your leadership strengths - and weaknesses New application exercises in every chapter will help you grow Why would Dr. Maxwell make changes to his best-selling book? "A book is a conversation between the author and reader," says Maxwell. "It's been 10 years since I wrote The 21 Laws of Leadership. I've grown a lot since then. I've taught these laws in dozens of countries around the world. This new edition gives me the opportunity to share what I've learned.